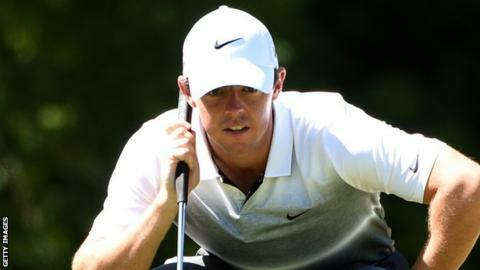 Rory McIlroy finished the Deutsche Bank Championship on a positive note as a closing five-under-par 66 gave him a share of 29th place in Boston. Sharing 64th spot on two over after three rounds, world number one McIlroy carded six birdies on Monday with his sole dropped shot coming at the 17th. Rickie Fowler won on 15 under - one ahead of Swede Henrik Stenson. McIlroy's failure to finish in the top 10 means Jordan Spieth returns to the top of the world rankings. Spieth missed the cut in Boston but the complex mathematical formula used to calculate the rankings sees the reigning Masters and US Open champion back at number one, one week after being usurped by McIlroy. The Northern Irishman said he was more concerned about his form and moving up the FedEx Cup playoff standings. "My focus the next few weeks is the FedEx Cup and to try to do well on that," McIlroy said. "I'd love to play the next event well and get myself into the top five going to Atlanta. That's still the goal. I'll probably need a win." Fowler capitalised on Stenson's double-bogey at the 16th to win his third PGA Tour title. His fellow American Charley Hoffman was third, four shots off the pace on 11 under. McIlroy picked up five birdies in a flawless opening nine to turn in 31 with his sole back-nine birdie coming at the 11th before his late dropped shot. Following a week's break, the play-offs will resume at the BMW Championship in Chicago on 17-20 September before the concluding Tour Championship in Atlanta a week later.